Help in Paying for Your Document Management Solution – Is that Possible? While more and more businesses are reaping the benefits of electronic document management systems, there are as many organizations that just can’t pull the funds together to pay for it. Non-profits, government agencies, and social services organizations often find it very challenging to fund such new programs. For many of these competition for precious dollars continually grows while budgets seem to continually decrease. There is hope for these groups. One option for special project funding is the many Federal, State, or foundation grants that are available. 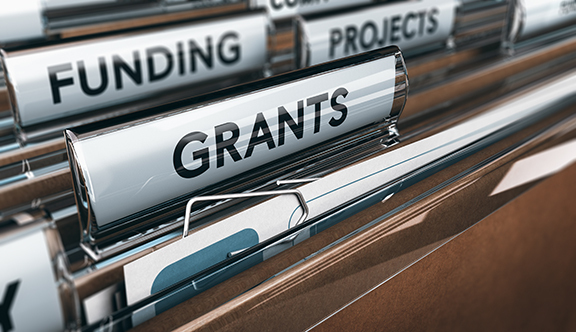 While the specifics of each grant is different, the purpose of these funds is to help qualifying organizations manage their records more accurately, provide better overall access to information, and create efficiencies for those both within and outside their organizations. Nothing does that better than an electronic document management system. Once a potential funding resource is identified, the next step is the application process. It starts by identifying a document management initiative that will provide substantial positive impact. For example, hardcopy client files or project files scanned to digital format will make this information much more accessible and will also provide disaster recovery to protect the records – a very big impact indeed. Next a dollar amount for the grant request needs to be established, and that may present a big challenge to people who simply have no idea what these programs cost. The solution is to partner with a reliable, trustworthy document management provider. But how do you identify such a resource? Determining what you can purge versus scan. You need a scanning partner that sees the entire project and has the patience necessary to wait for the business versus someone wanting a quick sale. Having an accurate estimate is critical – you can’t go back to a granting source and ask for more money and you need to substantiate the dollars you are requesting in the grant. Having complete and accurate information with supporting impactful benefits is the difference in you being just an interesting applicant or a compelling candidate for grant funding. Onboarding Technology Helps Get and Keep Great Hires February 28, 2017 In "Secure Document Management" "Document Solutions"